A peak album for Joni and genuinely one of the greatest singer-singwriter albums of the 70s, if not ever, all the greater for the intimacy of the songs and beauty of her voice! 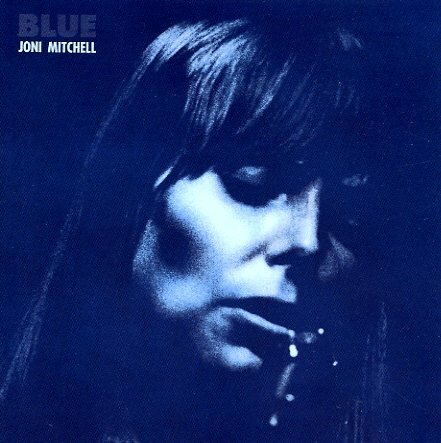 Perfect isn't a word you want to throw around too often, but Joni Mitchell's Blue might be one of the rare perfect albums. They way personal storytelling soars as relatable poetry, the sparest acoustic backing feels a whole buzzing environment for her voice to soar over. It deserves every bit of praise it's gotten over the years. Includes "All I Want", "My Old Man", "Little Green", "Carey", "Blue", "California", "This Flight Tonight", "River", "A Case Of You" and "The Last Time I Saw Richard". © 1996-2019, Dusty Groove, Inc.